Best Gear Repair Tips For Hikers And Campers: Don't Toss It Yet! Smart hiker, to read up on gear repair tips! You've invested a lot of time, effort and money into pulling together the best outdoor gear for camping and hiking. Inevitably, that gear will fail. These proactive and retroactive gear repair tips will lessen the pain (somewhat). Every hiking season has its hazards. All of this activity from Mother Nature wreaks havoc on hiking plans, but more importantly it takes a heavy toll on your hiking and camping equipment. Accidents, mistakes, pilot error, and poorly designed equipment with shoddy workmanship? Yup, factor those in, too. Not to rain on your parade, but you should never leave home without a gear repair kit in your backpack (hikers) or vehicle (campers). That way you're one step closer to a successful outcome when your gear fails. And these are the gear items that take a big hit on every backpacking trip because they are used heavily (and sometimes not gently). So prioritize your repair kit with those essential items, and the following gear repair tips, in mind. Carry these gear repair items because you will need them sooner or later. 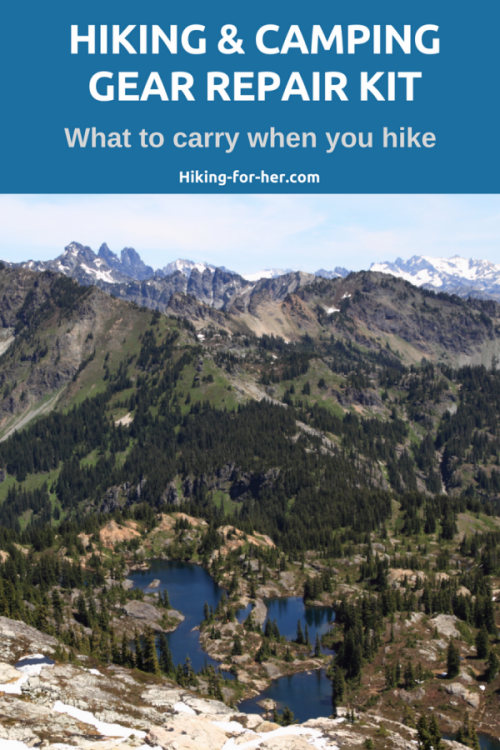 None of them weighs much or hogs much space in a zip lock plastic bag, thrown your backpack and forgotten until you need to repair your outdoor gear before you can keep moving. These are useful because they are versatile and play well with all of your gear repairs. Use these 3 Tenacious Tape tips for good results on your outdoor gear and clothing. Hint: Duct tape is versatile and can patch up holes in clothing, tents, backpacks and more. It ain't pretty, but it's effective. Waterproof, durable tape like duct tape: tear off strips and wind them around your water bottle or trekking poles until you need to tape your boot sole back on! ShoeGoo is also a good choice to get something stuck back together. There are several failure points on a tent, including the seams and door zippers. The rain fly or footprint (beneath the tent) might also meet with an unfortunate accident. Or build your own with the components listed above. This stuff weighs more, takes up too much room in your backpack, or is best deployed at home when you have time and attention for a repair task. And it can all be used for home repair tasks, too. When you're miles or kilometers from a hardware store, it pays big dividends to have a well stocked repair kit. Keep your repair kit handy in an outer backpack pocket. Work on a repair when you're well hydrated, fed and rested. Otherwise, you can make things worse. Duct tape repairs are fast and easy, but this tape leaves a sticky residue behind. If you're doing a cosmetically important repair, maybe Tenacious Tape or GoreTex repair patches (see above) are a better choice. Pre-cut repair patches are great for gritty, dirty environments that could decrease stickiness if you have to do a lot of cutting and measuring on a roll of tape. A multi tool combines a lot of functionality into a small space. Don't go overboard on one of these, but don't short yourself on the tools you might need for field repairs. A Gerber Dime is only 2.2 ounces, yet gives you ten tools in a 4 inch footprint, including a sharp blade. Do annual maintenance on your stove, and you won't regret it on the trail. That's one of my best gear repair tips. As a fan of MSR stoves, I use this maintenance kit. So always have a Plan B (contingency scenario) for your critical gear. For example, your backpacking water filter can clog to such an extent that it becomes inoperable. Whip out your water purification tablets and save yourself from water borne illness and dehydration. Your tent pole snaps in a strong wind. trekking pole, sturdy stick, or a paracord guyline anchored to a handy tree trunk or rock outcrop. 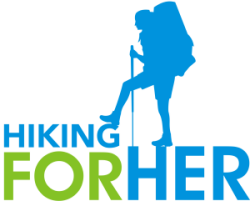 What type of hiking do you do? 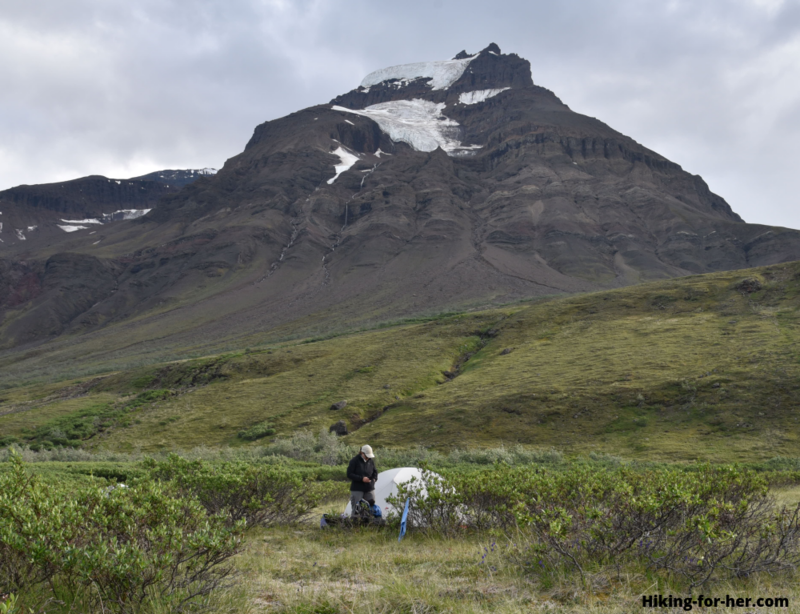 The type of hiking you do dictates how robust your gear repair kit should be. If you're headed into the back country, your chances of getting bailed out of a gear failure shrink with every mile between you and civilization. So it pays to sit down and think through the most likely gear failures, and what your Plan B might be. This prevents panic when you're right in the middle of the situation, and makes you look like a hiking hero to your trail buddies, too. It also feels great when you can help out another hiker with something you thoughtfully placed in your backpack. Sadly, sometimes you just can't repair hiking gear. But you've done your best to keep it out of the landfill, and that counts for a lot! None of this stuff I carry and recommend on this page is expensive. Unless you want it to be, of course. There are higher end versions of multi tools and sewing kits, for example. If you're gifting your favorite hiker, those versions worth considering for that "wow" factor. But for everyday use on the trail, I've stuck to the bare bones gear repair tips and tools that have seen me through decades of trail time. I'm hard on my gear, and I know that it will fail eventually. That's why carrying a well thought out gear repair kit, coupled with these gear repair tips, is one my absolute favorite recommendations to make to women hikers.